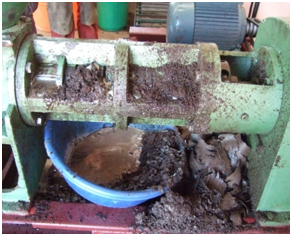 Allows the processing of Jatropha seeds to produce bio-fuel; forms part of the current 'Farmers' Club' project. 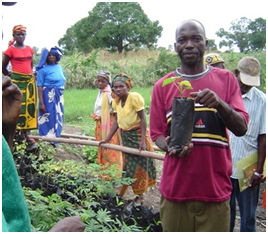 Humana’s in-country counterpart, ADPP Mozambique, launched a 'Farmers’ Club' in Cabo Delgado. Along with increasing local agricultural production, this project will construct a center for processing Jatropha seeds to produce bio-fuel. The processing center consists of a generator, two oil presses, different types of filters, and a vehicle. The generator and the vehicle have been modified to run on Jatropha bio-fuel. There will also be a research center that will investigate other types of Jatropha trees found in other countries and the Jatropha trees being cultivated in Mozambique. The 'Farmers’ Club' and farmers’ associations with which Humana Fundación Pueblo para Pueblo collaborate aim to provide the participating farmers with the necessary knowledge, structure, and organization to respond to the needs of their families and their communities, increase their income, and become integrated into the market economy. The farmers are organized into groups of 250 members with a project leader who provides theoretical and practical agricultural training. The project leader also facilitates the organization of the farmers and trains them in self-organization. The seeds produced in Cabo Delgado have thus far produced more oil than other seeds used in similar projects. This demonstrates that the province has a suitable climate and soil for Jatropha cultivation. The percentage of oil extracted varies between 20% and 25% of the weight of the seed. 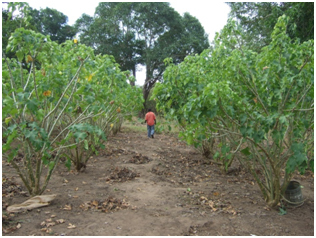 The cultivation of Jatropha has also reduced the amount of existing weeds in the area. Jatropha oil, in addition to its use as motor fuel, can also be used to make soap and bio-pesticides. The Jatropha “cake” (the by-product that remains in the press) can also used as an agricultural fertilizer. With the opening of this center, a part of the local farmers’ Jatropha seeds will be used to produce vegetable oil to make soap. * The production of more Jatropha oil and the enhancement of the market for this product. * The training of farmers regarding the cultivation and harvesting of Jatropha trees. * The development of training courses regarding Jatropha production, oil pressing, diesel engine modification, soap production, and bio-fuel and lamp oil production. * Research into new ways of producing high quality oil that is free of particles and with a pH suitable for obtaining bio-fuel for modified diesel engines. For this reason, the project will include a laboratory that will play an essential role in this process: it will measure the level of acidity in the oil and verify different formulas for soap production. * The production of fuel and soap to sell to local communities so that community members do not have to travel long distances to purchase these items.